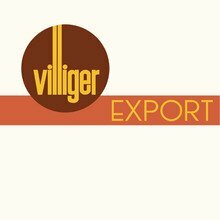 Villiger Export Natural cigars are very popular little European dry-cured smokes with Havana-style taste and character. Machine made in Switzerland with the finest select Cuban-seed tobaccos, this is a delicious square pressed cigarillo brimming with mellow to medium body flavors of cocoa, spice, earth, toast, and cream. Available in affordable boxes of 25, Export Natural cigars will become your ideal cup of coffee companion. Your bid for boxes of Natural at $ per box is confirmed and will be added to your cart if your bid is successful.